Blue Moon Brewing is celebrating its 20th anniversary in style: by announcing grand plans to build a new pilot brewery and tasting room in Denver, Colorado. The new Blue Moon brewery will be based in the city’s burgeoning RiNo Art District and will include a tasting room, tours and space indoors and out to host events. It’s slated to open in 2016. The makers of the popular Blue Moon Belgian-style wheat beer are currently based in a small brewery inside Coors Field’s Sandlot Brewery – the onsite brewery owned by North American brewing giant the Molson Coors Brewing Company. The existing brewery will continue to function, churning out beer for the masses, while the new one will serve as a laboratory for testing and creating new beer. A Denver native, Villa founded the Blue Moon Brewing Company after earning his Ph.D. in brewing from the University of Brussels in Belgium. The company’s most popular beer – the eponymous Blue Moon Belgian-style wheat beer – was launched in 1995 and has gone on to win wine-spread commercial as well as critical success. Among a combined 54 medals won at the Great American Beer Festival, Blue Moon Brewery was crowned the champion brewery in the large brewing company category at the 2008 World Beer Cup. However, in recent times the brewery has come under fire from craft beer fans and the American Brewers Association for not making it clear to consumers that it’s owned by Molson Coors. Critics argue that by omitting that fact, Blue Moon is able to masquerade as an independent craft brewery. Whether these critics have a point or not (they do! 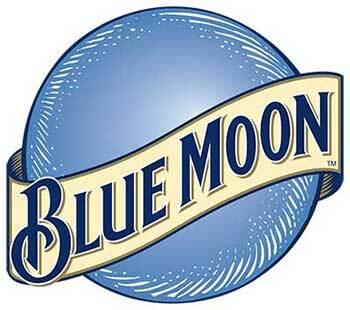 – Ed), Molson Coors will be hoping that its investment in Blue Moon will help correct its declining profits. In February 2015, the company reported a 31% decline in fourth-quarter profit on top of a 5.3% drop in sales to $973.8 million. Molson Coors, which is among the biggest brewers of beer in the world, partly attributed the decline to the strong US dollar.